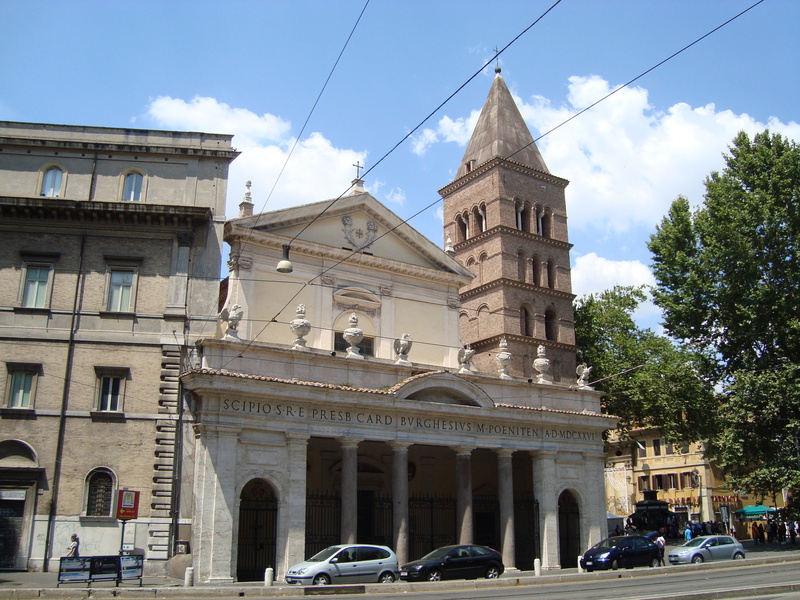 Located beneath the medieval church of San Crisogono, in Rome, Italy, the so-called paleo-Christian basilica was discovered in 1907 by an excavation beneath the sacristy. The remains of the early church date, perhaps, to the time of Constantine I. There are a number of wall frescos, dating from the 8th to the 11th century, and several marble sarcophagi and inscriptions. Click here for another sarcophagus from San Crisogono! 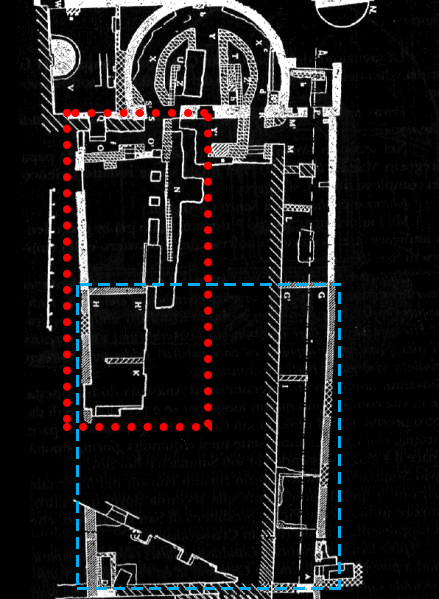 Plan of the ancient basilica: RED highlighting is the portion covered by the 3D model. BLUE is the plan of the Ancient Roman house, into or onto which the first church was built.